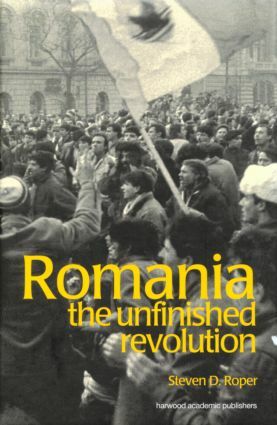 The Romanian revolution was motivated by a desire for greater political and intellectual freedom and economic prosperity. It was the bloodiest of the eastern European transitions due to Ceausescu's cult of personality. However, many of the goals of the revolution are still unfulfilled. The lack of civil society, charges of political corruption, the failure to transform the economy, and concerns over the protection of ethnic minority rights are all factors in Romania's failure to become a fully integrated European country. Tracing the country's political history and examining Romania's postcommunist politics, economic transition and foreign policy, this book contemplates the prospects for this country as it enters the twenty first century.